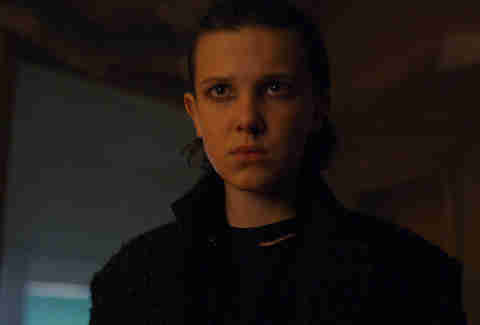 Science-fiction television has enjoyed a recent renaissance, with shows like Netflix's Stranger Things and HBO's Westworld becoming near-instant sensations. The addictive intrigue of sci-fi shows means that when you're finished with one, you're left wanting more, more, more. Fortunately, Netflix has built a robust catalog of sci-fi shows to satiate your appetite, so check out some of the titles below when you're craving fantastic stories of science-based speculation. How many post-apocalyptic shows starring attractive young people do we really need? Apparently, one more! 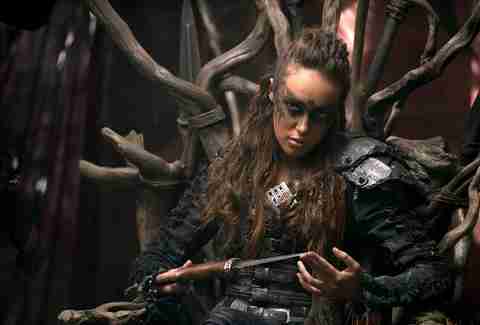 The 100, which was adapted from a YA series by writer Kass Morgan, is about a team of teens sent down to bombed-out Earth from a colony floating in space. Inevitably, things go wrong: Warring factions emerge, hearts get broken, and, as is required by TV law, beloved characters are killed. Don't let the show's soapy veneer fool you; this is dark, thoughtful material in a slick, teen-friendly package. If you relish the dystopian drama of The 100, The Hunger Games, or other narratives about attractive people living under unattractive regimes, then this Brazilian Netflix original is for you. The hook of 3% is simple: The world is divided between a world of wealth called the Offshore and a world of poverty called the Inland. (Sounds familiar, right?) The Elysium-like premise is explored with real emotional depth, and director César Charlone, the cinematographer responsible for City of God's stunning visuals, shoots everything with a gritty glow. If you want to make a good sci-fi show, put a number in the title, apparently. Produced by The Godfather director Francis Ford Coppola, this underrated series imagines what would happen if 4,400 people suddenly vanished from the face of the planet in the early 20th century... then flashed back into reality decades later. The mystery unfolds through the eyes of some superlative performances, including Oscar-winner Mahershala Ali as a US Air Force pilot who disappeared but somehow has a daughter in the present. Adapted from the 2002 Richard K. Morgan novel of the same name, Altered Carbon is a flashy, jargon-y, and, at times, dizzying descent into sci-fi decadence. The show follows a 22nd-century mercenary (Joel Kinnaman) who's hired to solve the murder of a highly influential aristocrat. The catch? Said aristocrat is still alive, because in this version of the future, the wealthy can't really die -- instead, their consciousness is essentially uploaded to the cloud and downloaded into new bodies. In a world without death, the ensuing caper boasts the same jaw-dropping visuals and world-building as Blade Runner and the same thought-provoking intrigue as HBO's Westworld. And over the course of 10 episodes, what looks like a complicated murder mystery detours as a complicated love story and a complicated look at social stratification. In other words, showrunner Laeta Kalogridis packs A LOT to digest in here, but that means there's A LOT to appreciate if you're patient. 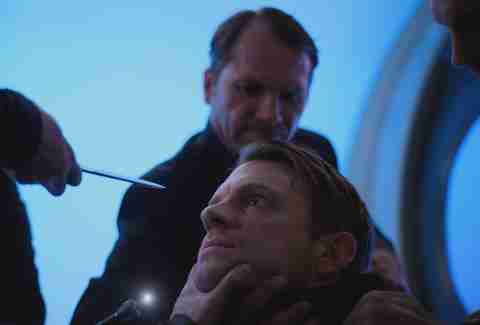 Though it takes a few episodes for Altered Carbon's dense story to really take off, it's an ambitious ride that's well worth sticking around for. In fact, we can't wait to see more. Each installment of Charlie Brooker's addictive anthology takes a current techno-social phenomenon -- topics that range from hashtags to five-star ratings -- to its extreme and asks whether human nature can coexist with it. Part satire and part (unintentional) prophecy, the series presents an appropriately grim view of the future, one that will definitely make you worry for the next generation and maybe even galvanize you into action. Binge this delicious platter of paranoia cautiously. 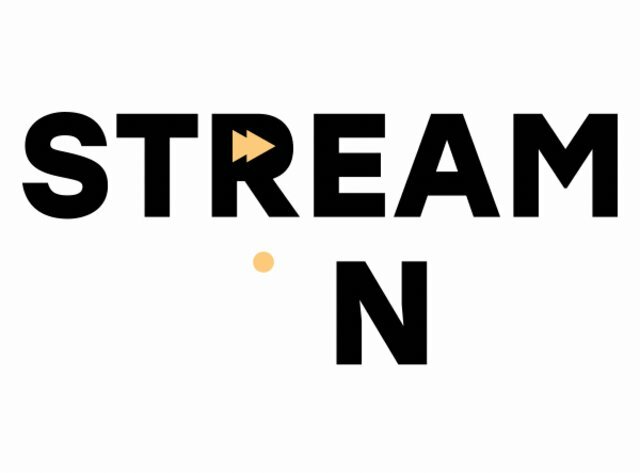 The mesmerizing and relatively new series from the streaming platform is quite the mindbender -- but that's not to say that it isn't still worth the watch. Dark is a German time-travel thriller that centers on four families whose dark pasts begin to rapidly unfurl when a handful of children in their small town begin disappearing. Netflix has already green-lit a second season of the show, and it's been in production since the beginning of 2018. So, in case you haven't already marathoned through Season 1, now is as good a time as any to get caught up. Sci-fi and teen TV make for the perfect pair, based on its grandiose concepts partnered with already dramatic high-stakes love affairs. One of Netflix’s latest installments in this genre, The Innocents, is no different, following the star-crossed relationship between Harry and June, two teenagers who run away from home to be together. While on the road, they learn that June has an extraordinary ability: She can shape shift. Suddenly, their naive plan to live out their romantic dreams is thwarted by a scientist who seems eerily interested in unveiling the truth behind June's powers. Most fantasy fans grow up dreaming that one day they’ll be whisked away to some sort of supernatural academy, where they’ll learn that they possess special abilities and are destined to hone their skills in a fantastical world they never knew was real. 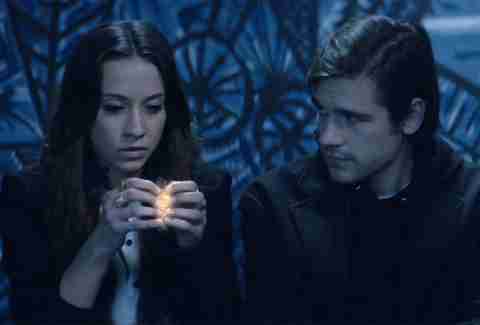 In SyFy's drama The Magicians, yet another one of these universes is made into reality when a young man named Quentin enrolls in the mysterious Brakebills University for Magical pedagogy, a college for magicians. Based on the Lev Grossman novel of the same name, the series inhabits an imaginative world and documents all of the dangerous conflicts that loom within it. In an uncanny alternate present, a clinical drug trial exists in which its participants can swallow a series of alphabetical pills to resolve their past traumas. 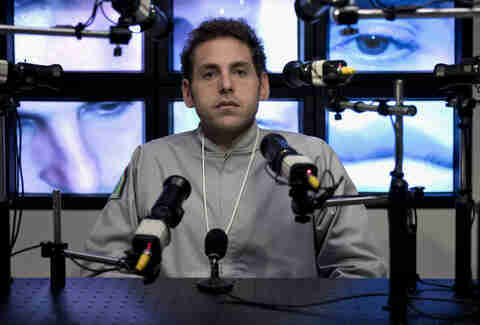 That is, that’s what’s supposed to happen -- as for Jonah Hill and Emma Stone’s characters in this Netflix original, that’s not how things play out when the AI running the experiment starts to malfunction. At its core, the show is about the challenges of living with mental illness, but it’s also an extremely creative science fiction dreamscape of an adventure from the minds of True Detective's Cary Joji Fukunaga and The Leftover's Patrick Somerville. Plus, what sci-fi shows have you seen that feature a lemur subplot, Justin Theroux as a scientist with overwhelming mommy issues, and killer ’80s video game aesthetics? Probably not many until you’ve seen Maniac. If Stranger Things was a little too basic for you, give this wonky sci-fi series from co-creators Brit Marling and Zal Batmanglij a shot. The otherworldly Marling stars as Prairie, a blind woman who returns to society after years in captivity and quickly starts a youth group with some troubled teens. It gets crazier from there. Yes, there's interpretive dance. Yes, there are weird flashbacks to Russia. Yes, it will leave you scratching your head and searching the internet for clues. But sometimes the crazy shows are the ones you love the most. The eco-pocalypse will come via rain, spreading its zombie infection within seconds of a person being hit by droplets. That's the future Netflix's The Rain posits, anyway. 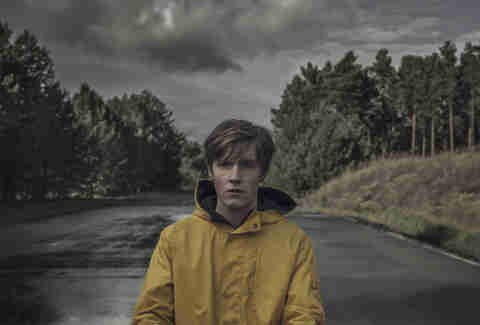 In one of the platform's best original foreign series, two Danish teenage siblings emerge from shelter for the first time after six years worth of viral rainfall to set out in search of their father, encountering other young survivors along the way. 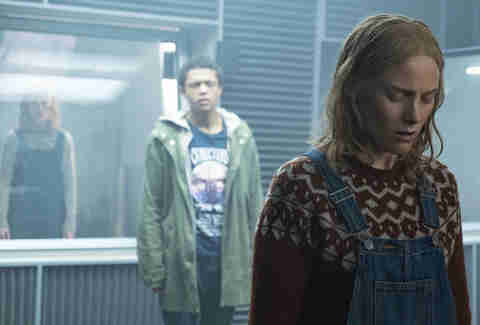 Focusing on a group of extremely emotional teens on a mission in a post-apocalyptic world, this dreary Scandinavian drama takes what’s addicting about sci-fi, and binge-worthy in teen TV, to make for one wild adventure. 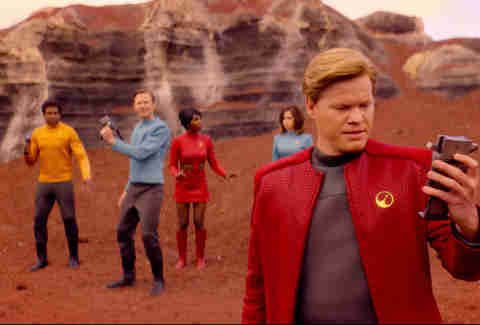 After a string of The Original Series-inspired movies and miscalculations on how to revive the sci-fi franchise for television, Gene Roddenberry's Star Trek boldly went where no concept had gone before with The Next Generation, a shinier, headier, all-around better (yeah, we said it) saga in the United Federation of Planets' history. 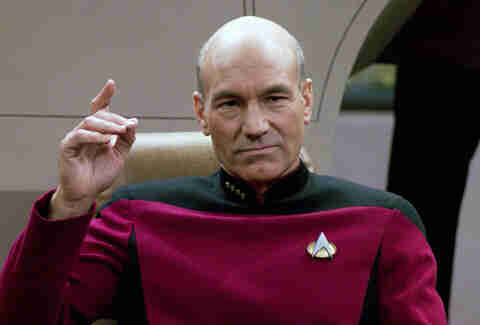 Led by Patrick Stewart and helped by an iconic supporting cast, The Next Generation followed the TOS mission to speculate about and empathize with social issues of the day, filtered through a lens of A-grade sci-fi writing that stands the test of time. If you haven't binged Netflix's '80s paranormal throwback... what gives? It's all your friends talked about when the show made its debut in 2016, and the second season, which premiered in October, was absolutely bonkers. If you've already done your time in the Upside Down, bide your time with the time-jumping Travelers, the alien-invasion saga Colony, the goofy fantasy series Shannara, and the one-season mind-bender Awake. Can you imagine waking up one day and suddenly your consciousness is interwoven with strangers from around the world? 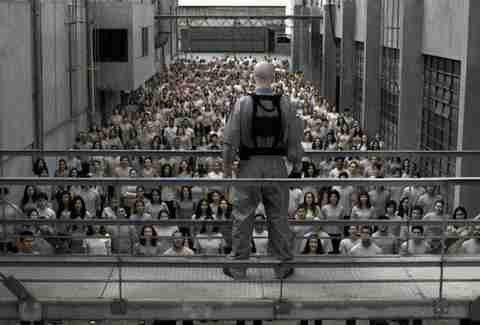 That’s the fate of eight individuals in the Netflix original Sense8, and only the beginning of the otherworldly oddity these "sensates" experience as they discover what their connection means, and the fact that they’re being hunted down. The global adventure of a show comes from the Wachowski sisters of The Matrix fame who intentionally wrote storylines revolving around identity politics rarely represented in sci-fi into the script, making Sense8 one dynamic genre series. Every lauded sci-fi movie or television show owes Rod Serling residuals. Over 156 episodes, Serling speculated and dreamed, refracting his present day through the trippiest scenarios to ever beam through mild-mannered American homes. 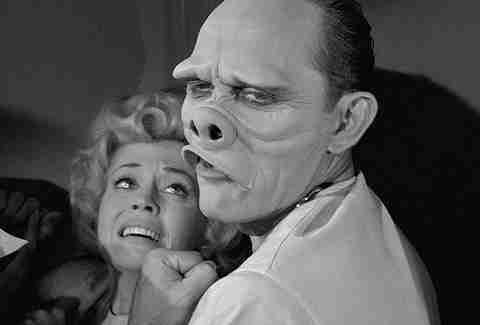 The Twilight Zone’s visual prose took us to jungles, to space, to 20,000 feet, and to the sunny block from every person’s childhood, where the worst existential revelations tended to lurk. The Twilight Zone still speaks volumes. Buckle up and fly into a dimension not only of sight and sound, but of mind.